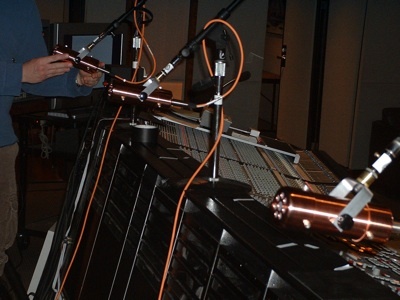 Dan ended up using a few Copperphones to achieve an ‘old-timey’ orchestra sound for the intro black and white sequence of the animated Pixar movie, “Up”. Here are a few photos from the session. 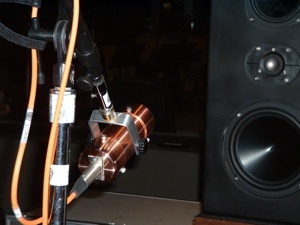 Dan took the previously recorded orchestral tracks and re-amped them through a few Copperphones to get the desired effect.